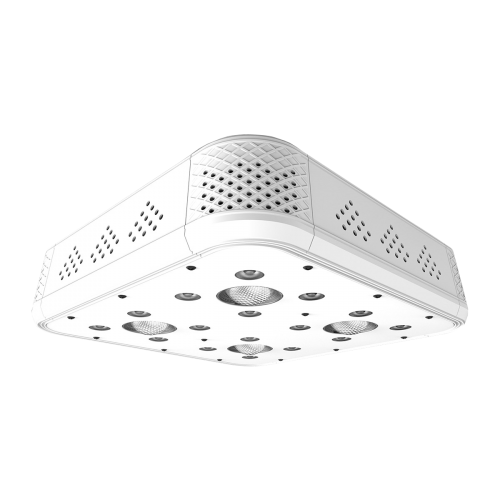 The Hacienda LED grow light uses the latest generation of multi-cob technology to push your plants into optimum growth and flowering. The "Grow" switch turns on an array of LEDs that produce light mostly in the blue part of the spectrum to stimulate vegetative growth. It also produces a little light in all the rest of the spectrum for good plant health. 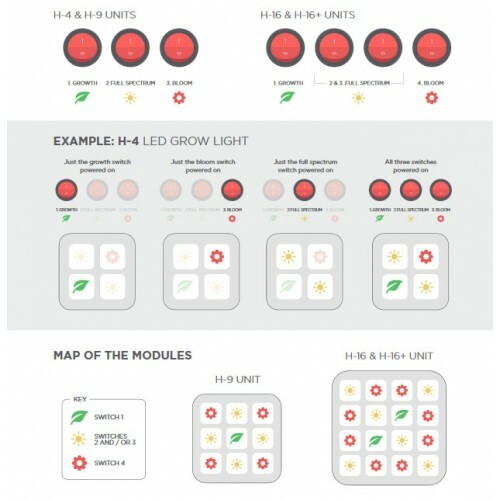 The "Bloom" switch turns on a different array of LEDs that produce light mostly in the red spectrum for heavy flowering or fruiting. Also, a little light is also produced in all parts of the spectrum (green, yellow, orange) for good plant health. There is a slightly greater but moderate dose of blue produced to help plants short and to stimulate terpene and essential oil production in the fruits or flowers. "Far red" light is also produced. This helps induce a stronger flowering/fruiting response in plants. 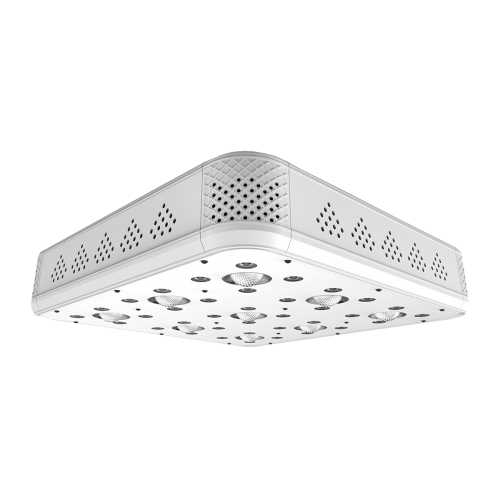 The "Full Spectrum" switch turns on a cluster of LEDs that produce a much whiter light. This switch can be used alongside the Grow or the Bloom switch, or could be used on it's own. There is quite a bit of blue, a good dose of Green, Yellow and Orange, and quite a lot of red. This switch will help boost general plant health, and also boost both vegetative (growth) stages and flowering and fruiting stages. The unit is made with lightweight aluminium sides and front / rear panels, which gives it a stylish flair and makes it easy to manoeuvre. The white exterior also helps to reflects any unused light back to your plants. 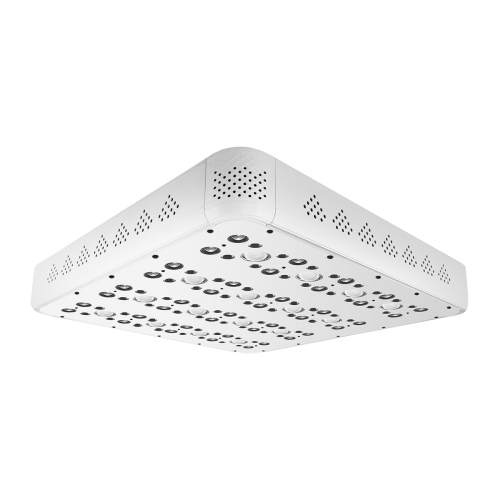 All the fixtures contain several 4 x 3w LED clusters or "modules" and a 1” high efficiency COB with a 90° beam angle. 56 additional white spectrum COB LEDs modules. 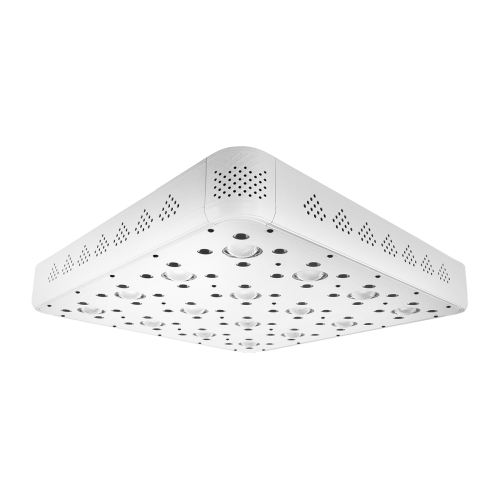 Plessey Hyperion White 400w LED Grow Light System Plessey Hyperion White LED 400w Lighting System - ..
Lumii Bright 100w LED Grow Light Lumii Bright is a 100 W full-spectrum light LE..